R | Is life worth living? 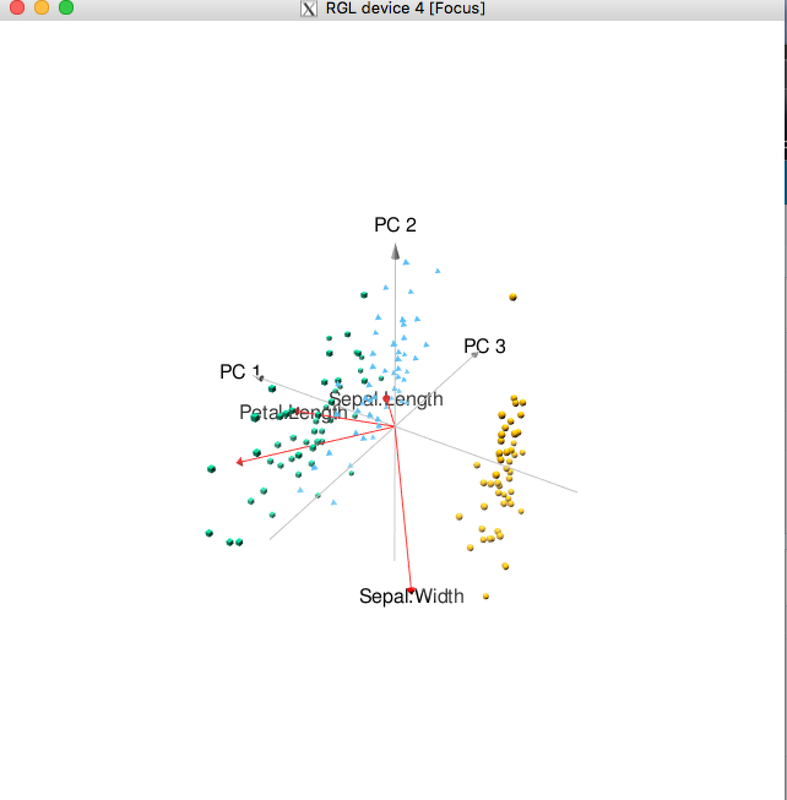 It’s useful for visualize multi parameters in drug discovery. For example, visualize compound profile, Lipinsky rule, ADMET profile etc…. Yesterday, I found new library to make radar chart in R language named ggradar. You know, ggradar is library based on ggplot2. It sounds nice! I used ggradar. I wrote simple example using iris dataset. Then I got following image. ggradar can set many option, font color, size and line size etc. But now legend text size can not change. The issue is submitted github. Ggradar is early project, but useful and attractive library for me. Find maximum common substructure is useful for finding core scaffold. I think that finding MCS, using commercially available tools is common (pipeline pilot ?). Today I found the library that search MCS in R, named fmcsR. That’s sounds nice, because if fmcsR works fine, I’ll implement the library to Spotfire using TERR. TIPS; fmcsR depend on ChemmineR. au is Upper bound for the number of atom mismatches. bu is Upper bound for the number of bound mismatches. This library also compute batch search. This method is useful for bach search. I often use PCA(principal component analysis) to reduce dimension. I do PCA using Python sklearn or R language. 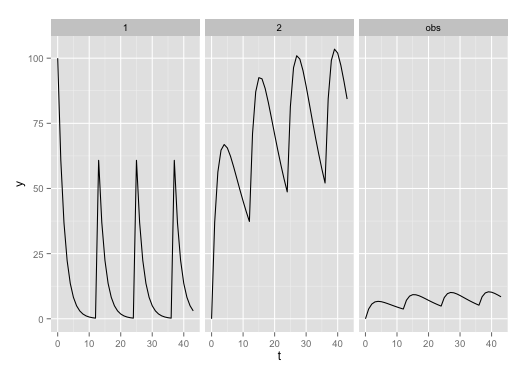 Basic function of R “biplot” makes 2D chart. It’s easy way to make biplot. 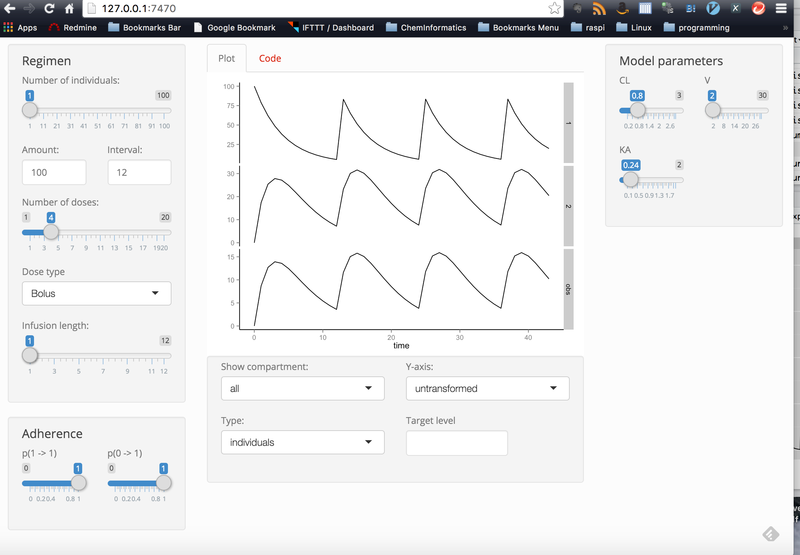 Today I found cool library of R, named “pca3d”. Install is easy! Just type following command. I used iris data set for test. Enter pca3d command, X quarts was launched and I got 3d biplot. If reader who is interested in the library, please check following site. Array or sparse array ? In a process of lead optimization, chemist often do SAR expansion around potent compound. If lead compound can be break down three parts A(head), B(core), C(tail), chemist(me…) often fix one part(e.g core B) and change two parts. After optimize A and C then, fix A, C and change B. This approach is called array synthesis (not matrix). It’s very simple and easy to design molecules, Free wilson approach maybe useful in this case. But, sometime this approach meet problem that SAR is not additive. Each parts shows interaction because of many factors, steric, electrostatic, etc…. I need to think about SAR design more effectively. DOE(design of experiment) is used drug discovery. It’s not only used for QC, QA, but also used in process research or any other process of drug discovery. I think DOE is useful for LO. So, I searched DOE library in PyPi, and found pyDOE. It’s cool but the library can’t make orthogonal array. So, I moved to R.
CRAN provided DOE library called DOE.base. Lead compound is build from 3 components. To optimize molecule, I selected 6 parts in r1, 3 parts in core and 3 parts in r2. Simply, if I’ll try to make all combination, I need to make 6 * 3 * 3 = 54 cmpds. But based on DOE, make orthogonal array like following code I could reduce number of compounds that I have to make. I think combination of QSAR and DOE is good method of lead opt process. How do you expansion SAR in LO stage?